Leading the way into a new era of green building and sustainable living is Miami Beach’s premiere commercial and residential builder, Arkin Group. Arkin Group is a leader in construction and building services on Miami Beach and across South Florida, with a newfound focus on global green building. Building is our passion and a tradition passed on from Arkin to Arkin for three generations. With more than 30 years of construction experience, the company is now taking on a new challenge with the development and building one of the Greenest Homes in America on 2020 Alton Road on Miami Beach. Robert Arkin on 2020 Alton Rd. 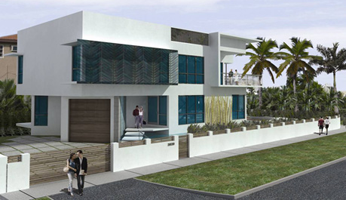 is a brand new green home currently under construction in Miami Beach, FL. 2020 Alton is pursuing a LEED rating of Platinum. It will be the first home in South Florida that we know of to achieve this status. 2020 Alton's conception was achieved under general contractor Robert Arkin. Our work can be seen across the South Florida skyline. We have been responsible for some of the most recognizable buildings and high-end projects in Miami-Dade County including office buildings, homes, hospitals, shopping centers, restaurants, medical facilities, parking structures, hi-rises and condominiums. Our reputation for accessibility and superior workmanship has made us a go-to construction group. We take a project from inception and pre-construction to completion, and handle everything in between, so your experience can be positive and hassle-free. Let us plan, manage, build or restore or remodel your current or future home, office, commercial structure or next construction project and experience the Arkin Group’s commitment to quality, sustainable building and quality construction.